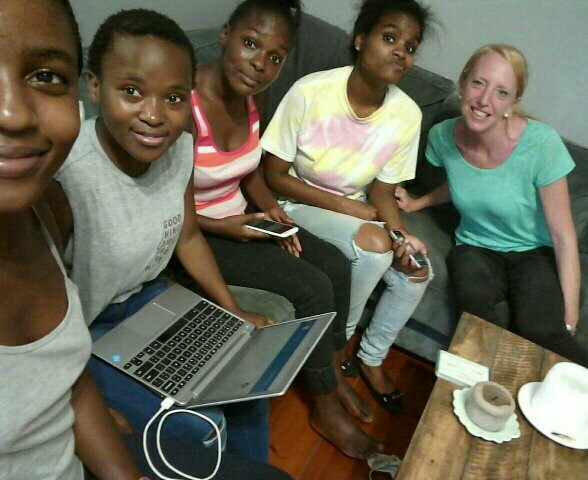 I have been working with young adults at Lily of the Valley Children's Home in South Africa. I first went to Lily in 2010 where I fell in love with the kids and saw a vision to help support them. Since then, I have been able to be a long term part of shaping the lives of our beautiful kids and young adults who need opportunity and consistency. These smaller kids are now growing up and are now in college and starting their lives. I have been able to lead a program called iLAUNCH, which helps our young adults take the next step towards independence. Whether that is pushing hard through high school, getting their driver’s license, starting college, doing a specialized training program, gaining employment, receiving spiritual and emotional mentoring, or learning life skills, I look at each special soul and give them opportunities to move forward. This year I also started renting an apartment near the college students in Durban. It has been my dream to provide a place near the students, to give them a home where they can get spiritual and emotional encouragement, talk through issues, have a meal, get help with tasks, and laugh. And that dream came true! Since last August I have had a beautiful place where they come often to get help with homework or have a meal. This apartment is centrally located in the city and has also been a valuable place for job searching. Additionally, I split my week at Lily and in Durban, where I support the younger high school students. I work with them to make sure they are on the right track and help them figure out their directions. Recently, Lily of the Valley could no longer pay my stipend/salary due to immigration changes with my type of visa. So, I must now raise the money. I need to raise $13000 for the year, which includes rent and utilities, car insurance and expenses, health care, food, visa renewal expenses, and travel expenses back to the states. So if you feel compelled to support my mission and vision, I would love to have you as a partner. You can give on a monthly basis or give a one-time donation. Anything over my goal will be used for next year’s expenses.